Poetry | Words. Sentences. Stuff. Yep — that’s right. Three of my poems have been published in the Winter 2014 edition of Open Palm Print, a small literary print journal based in mid-Michigan. It’s a publication put together with obvious love and care and you can order a copy online so you don’t have to live in the Mitten to treat your eyes to the wonderful work it contains. It probably helps, though. The three poems in question — Riding in Cars with Werewolves, Not All Hamsters Die in Unusual Circumstances, and Press Conference for a Missing Son — were all written within days of each other during last year’s National Poetry Writing Month. Or NaPoWriMo for short. Or NaPo for even shorter. NaPo is a bit of a misnomer as it is an International event where poets from around the globe commit to writing a new poem every day throughout the month of April. 2013 was my first attempt at NaPo and while I didn’t manage to hit the target of thirty, I managed fifteen new poems and I count that as something of a success. As a result, my list of Titles I’d Really Like to Use at Some Point took a serious hit. The thing about NaPo is that it forces you to find inspiration from sources one would probably overlook and it really means that anything remotely approaching a kernel of an idea has to be popped and bathed in sweet, sweet buttery drizzle. It’s amazing what comes out at the end of this process. Of course, not all of the fifteen make the grade but I’m happy with enough of them to convince me this was a worthwhile endeavor and this year, twelve days in, I have eleven poems down. Press Conference is without a doubt the most solemn of the trio and was inspired by such an event I saw on the local news, the finer points of which I’ve long forgotten. What I do remember about that real-life conference was the strange things the mother said about her missing son. There was nothing particularly controversial, but there were some odd details mentioned, things that probably meant quite a bit to the poor woman. Either way, it highlighted to me the various ways we deal with stress and some of the words that leap from brain to mouth without filter under these extraordinary circumstances. Hamsters is far more light-hearted. The previous day’s poem — No Long Books — was about the (continued) impending demise of my elderly dog and still in that cheery frame of mind, I set about writing something of a eulogy to a beloved family pet. Because they seem to frequently pass on as a result of various household accidents, I imagined that such an impassioned speech about lowly Brer Hamster may be quite amusing, even more so if the hamster in question’s passing was unusually devoid of drama. It just died. I toyed with, and ultimately dismissed, the idea of having a goldfish being the focus but ended up using it as a punctuation point to a poem later in the month. For your information, that goldfish also died. Baked in a plastic bag. Lovely. The last poem — Werewolves — is a spin on the whole Twilight nonsense and tells the tale of a father coming to terms with the fact that his teenage daughter is dating a supernatural hairy beast and planning on inviting him over for dinner. This title sat on my list for more than a year and is basically a rip-off of the 2001 Drew Barrymore movie, Riding in Cars with Boys. I’m particularly happy with the outcome of this one and there are some individual lines I’m rather surprised that I managed to write: the vampirish “those pale high school boys/ who led their Xbox Lives/ buried in windowless basements/ shrinking from daylight/ to feed a 64-bit bloodlust” and the dual meaning that’s found in “They’d understand each other’s cycles” probably being my picks of the bunch. So there you have it. Three poems. An embarrassment of riches. You can order a copy of Open Palm Print at four bucks a pop and check out a preview of an edition by heading over to http://www.openpalmprint.com/. I’ve written about inspiration a few times on these pages. In fact, since restarting this blog and posting about my publications, I’ve written about it in some detail, convinced as I am that this is something anyone other than myself would be interested in reading. When people ask me where I get my inspiration, I used to joke and say I get it from a little shop on Sauchiehall Street in Glasgow. The thing is, that’s not even my joke. I think it’s Iain Banks’ joke. Proof, if ever it was needed, that inspiration doesn’t come easy to me when I have to steal someone else’s joke about the source of inspiration. The reality is, inspiration is everywhere and perhaps my problem isn’t so much in being inspired but more in recognising I’ve been inspired. The two poems published today on Northwinds came to me in two different ways but both could easily have been something I did precisely nothing with. I had to drive past the house that became The House of Too Many Things about fifty times between October and December 2012 before I finally got the message. People decorate their homes, gardens and yards at Halloween and Christmas, but this particular house took it to the extreme and had soon garnered the titular nickname by me and my family. At night, it must’ve easily been the brightest thing in town and the whirring of its electric meter must’ve been among the loudest. It seemed like there was hardly a square inch on the property that wasn’t occupied by an illuminated inflatable something or other. During the day, though, it was a far sorrier sight and it was this contrast that finally slapped me across the head and kept doing so until I wrote something about it. 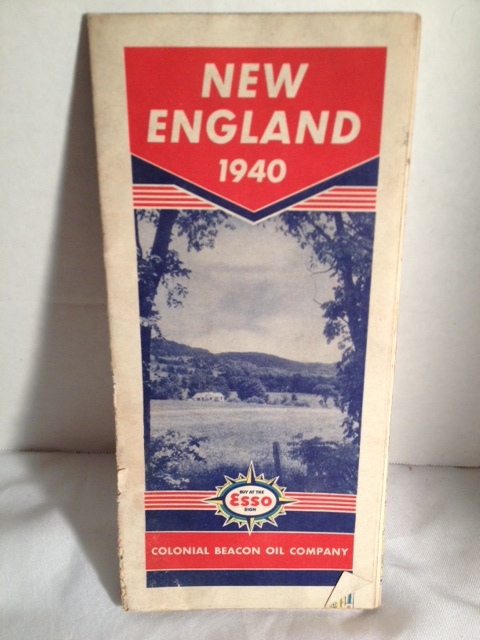 The other poem – Esso Roadmap of New England (1940) – is about exactly that. It was a map that was given to me for my birthday in 2011 by my then girlfriend, who is now my wife. I love maps. I love old maps. But what I didn’t realise was how much I loved the stories that are held in the musty smell and in the creaking folds that threaten to snap like twigs when the map is laid out. There’s something about history soaked into paper that appeals to me. Whose hands had this map passed through to get to me? But again, I used to be quite happy to leave it like that, to be satisfied that these stories would exist only in my head. This 71 year old map, predating America’s involvement in WWII, conjured up thoughts of a very different age, of when maps were actually used and useful, during times of boom and bust. In the end, I really couldn’t not write about the person I imagined to be the map’s original owner. Northwinds is a new publication for me and one that impressed me very much when I was scouting for places to send my work. The quality of the content is matched by a wonderful look and feel, from the ease of navigation to the black & white photos of its contributors. It’s an ezine that has already made it to my favourites list and one that I know I’m going to visit time and again, even when I don’t have an urge to read my own name. And on a kinda interesting “it’s a small word, isn’t it” type way, Issue 5 features the work of Mercedes Lawry, a name that will be recognised by regular readers of a certain Waterhouse Review. I hate Pennsylvania. There. I said it. Well, I don’t actually hate Pennsylvania as a state. I’ve been there a few times in my thirty-some years, fished in its rivers, drank in its pubs, and generally had a pretty good time. Until recently, though, I hadn’t driven across it. Here’s the thing. I live in Michigan. My wife’s family, and my stepkids’ family more to the point, live in Connecticut. So a few times a year, we have to pack everyone and a dog up, load the minivan, and drive the 860 miles from one to the other. And then a few days later, we have to drive back. It takes around seventeen hours. It takes longer if you stop in Manhattan, but those blog details belong to a different poem. We cross five states during the trip and there’s something about crossing from one state into another that gives a sense of progression and therein lies the problem. It takes us a couple of hours to get out of Michigan. Then it takes us five hours to get through Ohio. THEN IT TAKES EIGHT HOURS TO GET ACROSS PENNSYLVANIA. And after that, we’re a couple of hours in New York, a minute and a half in Connecticut and then we’re done. Last Christmas, through the night and a snowstorm, we drove from Michigan to Connecticut. It was pretty horrendous stuff. As we left Ohio, I updated Facebook with the post “The Long Dark Pennsylvania of the Soul.” If I’d been wearing a hat, I would have doffed it in the direction of Douglas Adams but I was hatless so instead I added this collection of letters and words to my Titles I Need To Use at Some Point list. A week or two later, I’d written a poem around the title, which regular readers will know I’m prone to do. And that poem, dear reading several, is available today over on Everyday Poets. It’s a very simple poem with its feet planted in reality about being stuck in the middle of Pennsylvania, knowing you have another nine hours to drive, and about the strange feelings that only ever seem to wash over you in the wee hours of the morning when your brain is convinced you should be asleep. In its original form, it was written as five stanzas of four lines each and was punctuated properly. EDP liked it but not enough to publish it and they asked for a rewrite. More specifically, they suggested losing the stanza breaks and the punctuation so that it would appear in one stream. I went one step further and lost the opening capital letter which I felt captured more of the sense of the poem’s meaning about being in the middle of something. So while the poem isn’t particularly metaphorical in its content, it is more so in its appearance. Asking for a rewrite is something I do very sparingly as editor of The Waterhouse Review. In part, this is because a piece of work should be submitted in a publishable state but mostly it’s because a rewritten piece can often lose the elements that made it stand out in the first place and then it’s very awkward going back to the author with a rejection. In this case, though, I’m very grateful to the editors of EDP, particularly Oonah Joslin, for helping me see how my poem could be improved. I’m very pleased with the result. There are some writers who insist that picking their own favourite short story or poem is like picking a favourite child and they flat out refuse to do it. 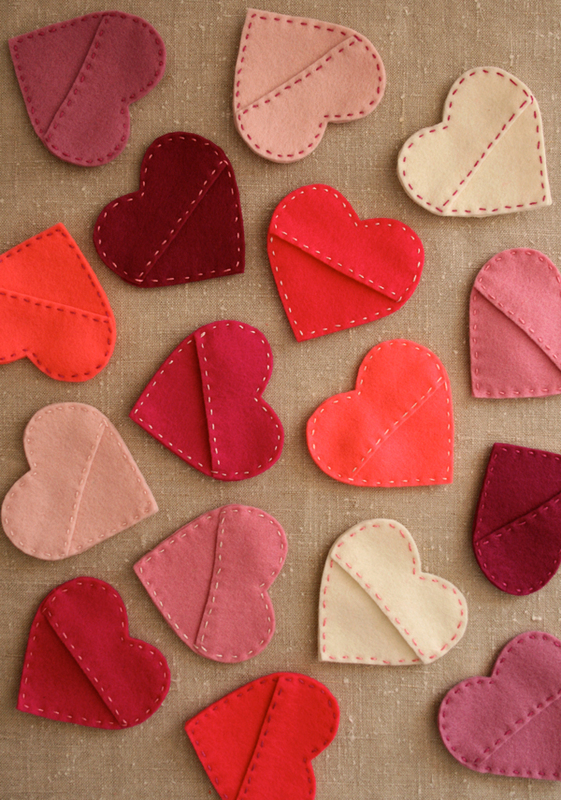 Well, She Had A Thing About Hearts — which is published today in Northwords Now — is my own favourite poem. So there. It was written, pretty much as is, over a lunch hour in November 2012 and just like The Proper Name for Killing Birds, its title presented itself before the actual idea, this time by about a week or so. There are probably a couple of ways the poem can be interpreted, both of them meaningful to me. It’s my first piece of work that was written, submitted, accepted and published all post-move. And I’m very happy it has found such an excellent home. Northwords Now is published and distributed all over Scotland, particularly in the Highlands. 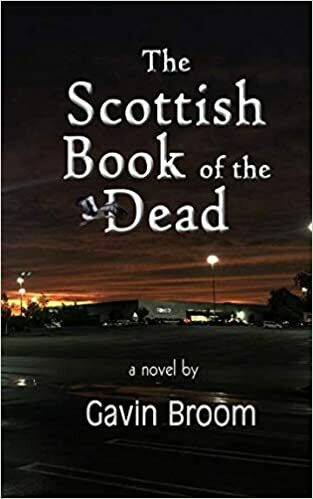 It’s one of the few markets I know that publishes work in Gaelic. For those who prefer to read imaginary ink, it’s also available on Kindle or PDF. Chris Powici, its editor, tutored at Stirling Writers Group a few times before I left. SWG attracts some wonderful tutors and Chris is no exception. He helped transform two of my earlier poems, one of which — Black Friday at Westfarms Mall — has since been published in the Ranfurly Review. He has a fantastic eye for detail so it’s a real highlight of my poetry “career” to have my words, probably written while I had mustard and/or mayo congealing in my beard, appear in his fine journal. Hang on to your hats, my reading several, for I have more news of published work. It’s like buses, isn’t it? Except it’s cheaper. And less smelly. And is unlikely to take you where you want to go. My short poem — Everything I Touch — went live over on Everyday Poets in the wee hours of this morning. EDP is one of my favourite sites simply because of the variety on offer. You really don’t know what you’re going to get from one day to the next, whether that be something in rhyming couplets, a sonnet, a sestina or something in between. Which is probably why Everything I Touch found its home there. If you read the poem, you should know that I’m aware of all the repetition. It’s the repetition — or refrains if we want to get all French about it — that marks this out as being a triolet, a form I wasn’t familiar with until about half an hour before I wrote it, during the summer of 2010. Fact fans may be interested, or at least not entirely disinterested to know that it was penned the day after my “homage” to Edgar Allan Poe — a little something called Nevermore — which was also picked up by EDP. If I’m honest, while I’m pretty proud of it, Nevermore was an absolute nightmare to write. I went into it with grand plans to tell my story over the same eighteen stanzas that Poe took to tell The Raven, but chickened out after eight. There really are only so many words that rhyme with door. After the complexities of Nevermore, I remember being relieved that Everything I Touch was so straightforward in comparison; it’s a mere eight lines, tells a very simple story, and the refrains almost felt like cheating. But for whatever reason it was one of those pieces that got forgotten almost as soon as it was written. If I remember correctly, I was in the midst of a seven week, 60,000 word novella binge at that time, which may go someway to explaining how it slipped through the cracks. I rediscovered it last November, thought it was okay, and a few weeks later, EDP agreed. So there you go. Two publications in two days. It would be unthinkable to get a hat-trick, wouldn’t it? Wouldn’t it?